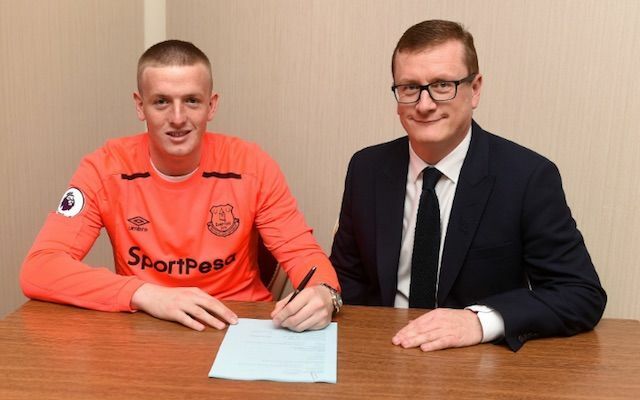 Pickford is only the 12th goalkeeper to command a seven-figure transfer fee. Everton have broken their transfer record to sign England goalkeeper Jordan Pickford from Sunderland. According to The Guardian, Pickford will cost Everton an initial transfer fee of £25m, but that figure could eventually rise to £30m. Regardless of whether he costs £25m or £30m, Pickford is now the world’s third most expensive goalkeeper of all time. And based on information reported by The Mirror, the 23-year-old is only the 12th goalkeeper to ever command a transfer fee of £10m or above. Using the fees as reported by The Mirror, we have drawn up a current list of the top ten most expensive goalkeepers ever. As you will see, Pickford has leapfrogged ahead of German legend Manuel Neuer, while pushing Manchester United no.1 David de Gea back into fifth and Arsenal’s Petr Cech down to 10th. Man City’s new £35m goalkeeper Ederson was on fire last season. The two seven-figure stoppers who narrowly missed out on the top 10 are Bournemouth new-boy Asmir Begovic and Southampton’s Fraser Forster, who each cost £10m when they moved from Chelsea and Celtic respectively.